Access 400+ Texaco, Maxol, Emo and Great Gas sites. Competitive fixed pricing on both diesel and unleaded. The Texaco Fastfuel card gives you access to over 400+ strategically located sites across Ireland, including all Texaco, Maxol, Emo and Great Gas sites, making it perfect for long-distance drivers. 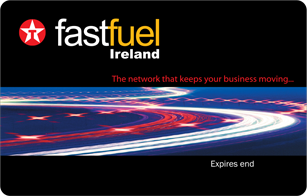 This is Ireland’s largest branded fuel card network. Many of these filling stations also operate 24 hours a day, 7 days a week, which is ideal for fleets that don’t stop. One price at all sites means you no longer have to worry about where your drivers fill up. Customers receive price change notifications by email or text so you’ll always know the price of your fuel. 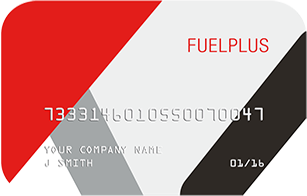 The Texaco Fastfuel card is PIN protected and can be allocated to specific vehicle registrations or driver IDs to minimise the risk if lost or stolen. To avoid misuse by company drivers, transaction limits can be placed on cards. Plus, with advanced management tools, unusual or suspicious transactions can be quickly identified and suspended. As a Texaco Fastfuel customer, you’ll receive comprehensive invoices with all transactions listed in one place. All our invoices are Revenue approved so claiming back VAT on business fuel purchases is easy and straightforward – no more collecting driver receipts and checking against timesheets. The Velocity account management tool comes free of charge with the Texaco Fastfuel card. 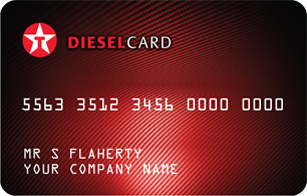 Access to Velocity gives you 24 hour access to your fuel card account. You can stop and order cards, check monthly spend, run reports, and download historical invoices at any time during the day. With this much fuel card data at your fingertips, you will have complete control of fuel spend enabling you to ensure maximum fleet efficiency. 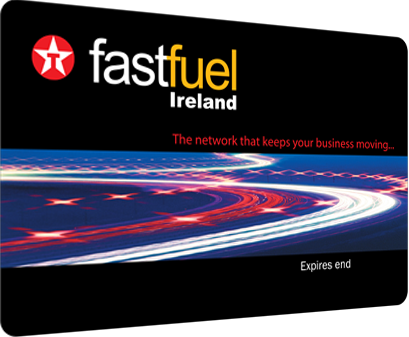 The complete Texaco Fastfuel network is available online through our e-route site locator. Available on desktop, mobile or as a SatNav download, you and your drivers will always know where the nearest site on your network is. You’ll have access to the fuell details of each site through e-route, including the facilities available to your drivers.